Commissioned by British Airport Authorities and Free Form Arts Trust. 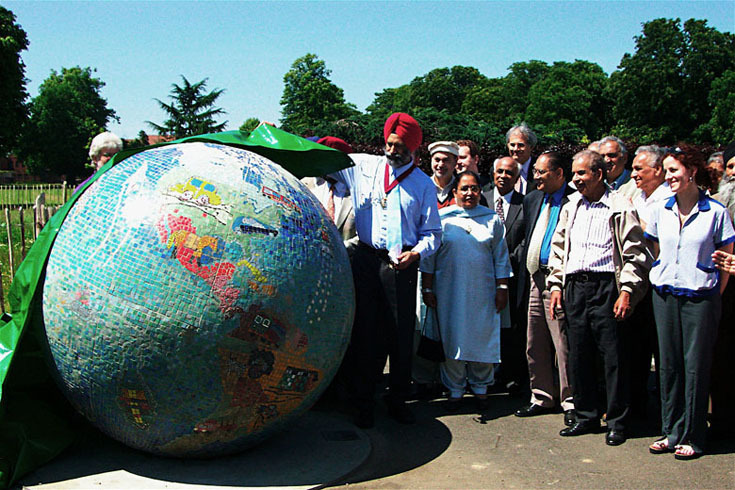 As Southall is directly under the flight path and commissioned by BAA the theme was international travel. 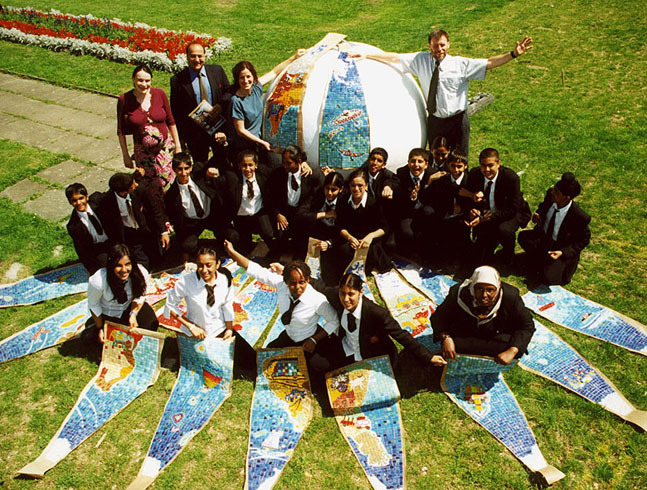 We worked with a secondary school based at the edge of the Southall Park to develop ideas and create vehicles and modes of transport in mosaic. We looked at different types of transport used in relative continents throughout the world. 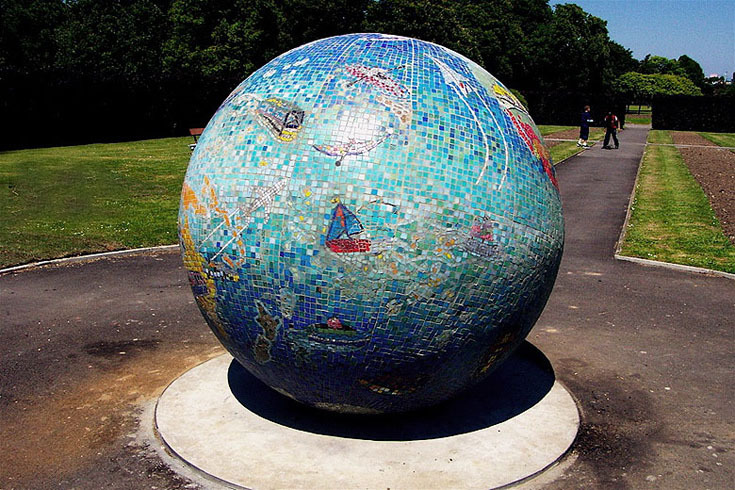 The panels were then assembled in segments around a spherical form and adhered to a foam and resin base.